In this short, entertaining TED talk, master thief Apollo Robbins gives a fascinating insight into the power of misdirection. 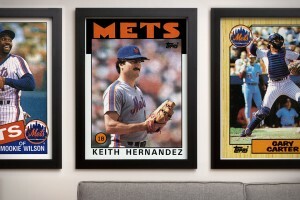 Topps’ Archive Prints are wall-sized art prints of some of baseball’s greatest players when they were in their prime. Perfect for the walls of your man cave, each print is a high-quality replica of the original baseball card design, and the material even looks the part (down to the worn edges). 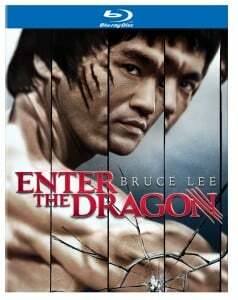 Like many people, I’m a big admirer of Bruce Lee, and this is my favorite movie of his. In this 40th anniversary Blu-ray release, you’ll find three new featurettes, commentary from the producer, and a newly re-mastered video and soundtrack that looks and sounds outstanding. 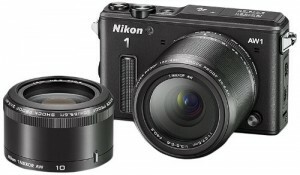 The Nikon 1 AW1 is the world’s first waterproof and shockproof interchangeable lens camera. It’s waterproof to a depth of about 50 feet, and can survive a 6-foot fall. It comes standard with an 11-27.5mm f/3.5-5.6 lens, and a wide angle 10mm f/2.8 lens is also available, both waterproof. It features a 14-megapixel sensor, and can take HD video. It has some features specifically for the more adventurous, like an altimeter, depth gauge, GPS, and a compass. If you bring a camera to places where it gets wet and dirty, or you’d like to, then the Nikon 1 AW1 might be a perfect fit. Multiplying and dividing triple digits. Figuring out squares, cubes, and roots. Remembering long strings of numbers. Well, these things aren’t nearly as hard as people think–they only require that you learn and practice various simple number tricks. 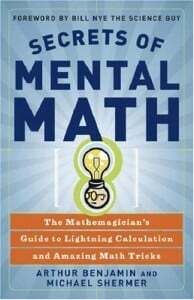 Secrets of Mental Math is fun and easy to work through, and the number skills you learn actually have some practical applications in everyday life. What Are the 3 Best & Worst Fat Loss Supplements?